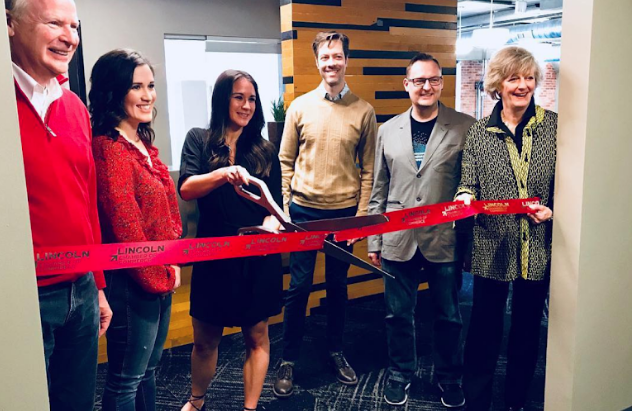 FUSE celebrated our expansion onto the second floor with a Red Ribbon Cutting Ceremony on Thursday, April 19th, 2018. An open house happy hour was held in celebration with our new members, Bulu and NXXT/IO Innovation Summit teams, after the ceremony. People were able to stop by for tours, refreshments, social time, and a pop-up escape room by our partners Escape Lincoln! Silicon Prairie News published a great article on our expansion – both space and vision – as a collaborative shared workspace for larger teams, resources for our entrepreneurial eco-system, and corporate innovation. Reach out if interested in looking at space options for your team, or how to be involved within our community in other ways, as we’re filling into the space.